I’ve hit the sales @ Dorothy Perkins last week during the London Fashion Week and got a complete outfit. The heels are just gorgeous with their golden lace detail on a black base, a bit pointy, but not too much. 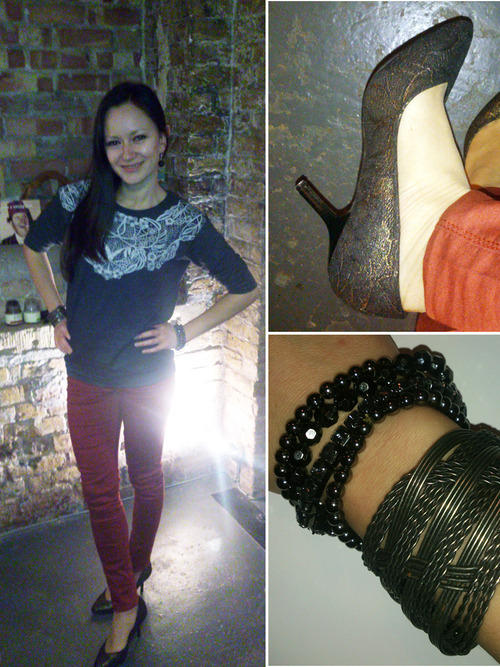 I love the brick red colour of the super skinny jeans which are so soft – like a second skin. And the top – nice comfy everyday top with the trendy mirrored lace print. I only added a few of my bracelets and the outfit was perfect for an evening out.